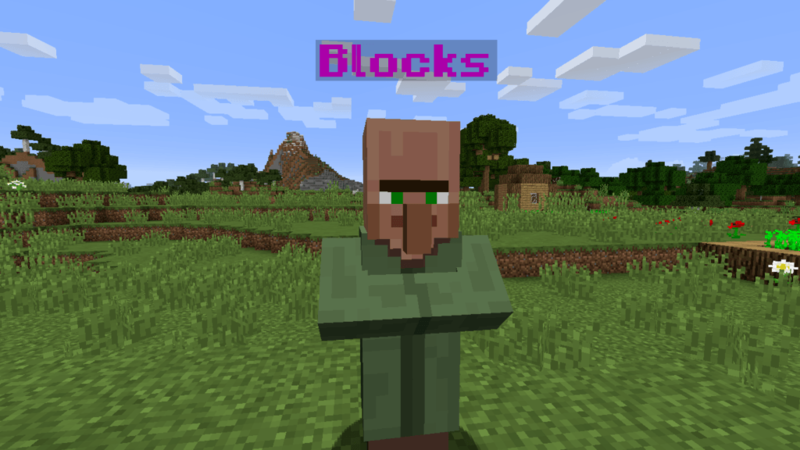 We all like Skyblock as it’s a neat and fun concept, but most of the time, we also don’t have access to the same amount of items and blocks as in Survival mode. 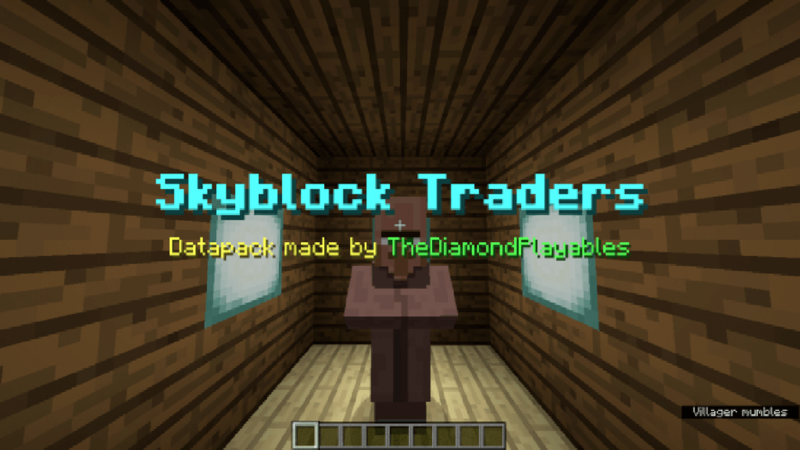 Introducing Skyblock Traders DataPack for the fans of Skyblock maps. 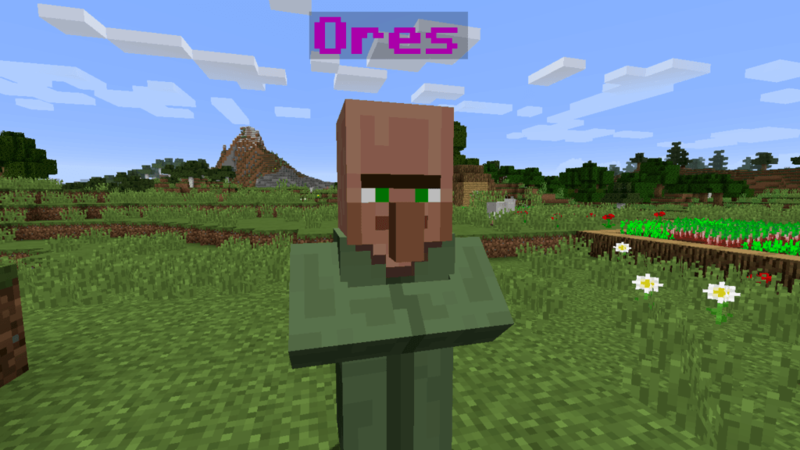 Adds in 5 Skyblock Traders that can be summoned via commands. Trade for exotic items that can’t be obtained in regular Skyblock maps. Can be installed in multiplayer. 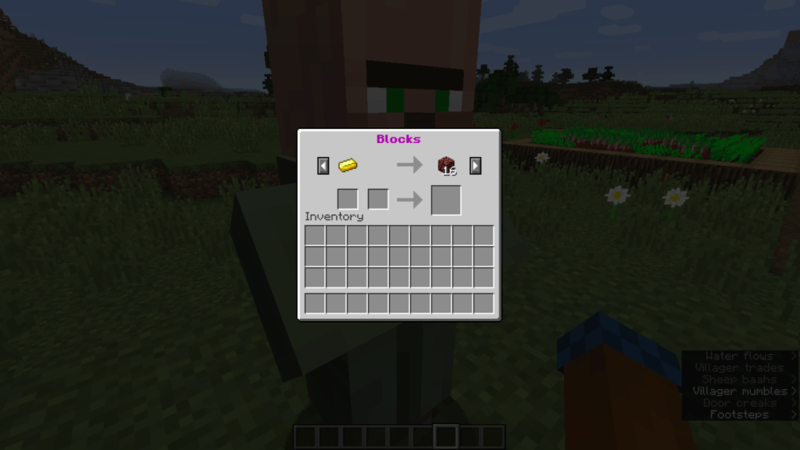 Use /function skyblock_traders:blocks to spawn a block-trading Trader. 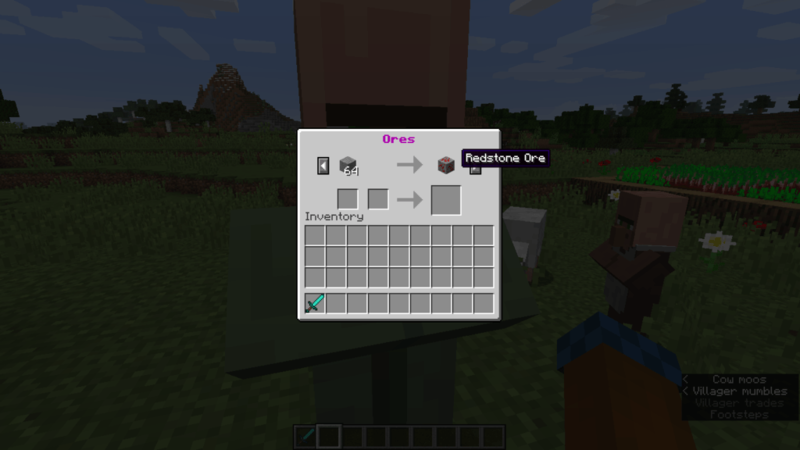 /function skyblock_traders:ores to spawn a ore-trading Trader. 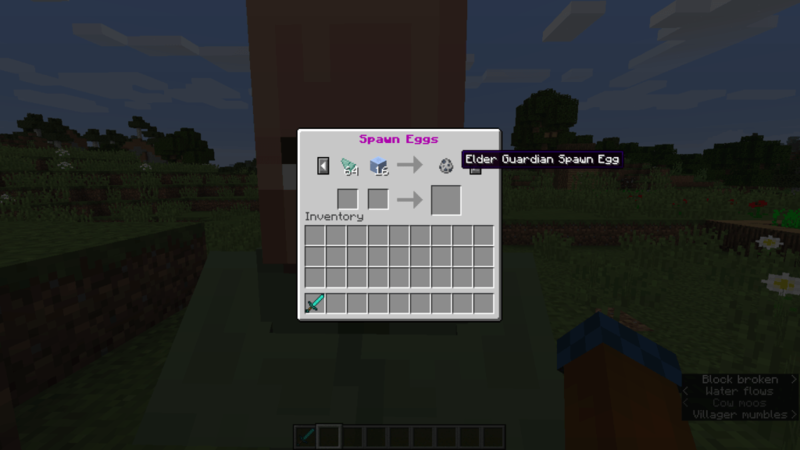 Type /function skyblock_traders:spawn_eggs to spawn a spawn-egg-trading Trader. /function skyblock_traders:plants to spawn a plant-trading Trader. Use /function skyblock_traders:materials to spawn a material-trading Trader. All Traders cannot be pushed by any other players, can only be attacked by Creative-mode player. 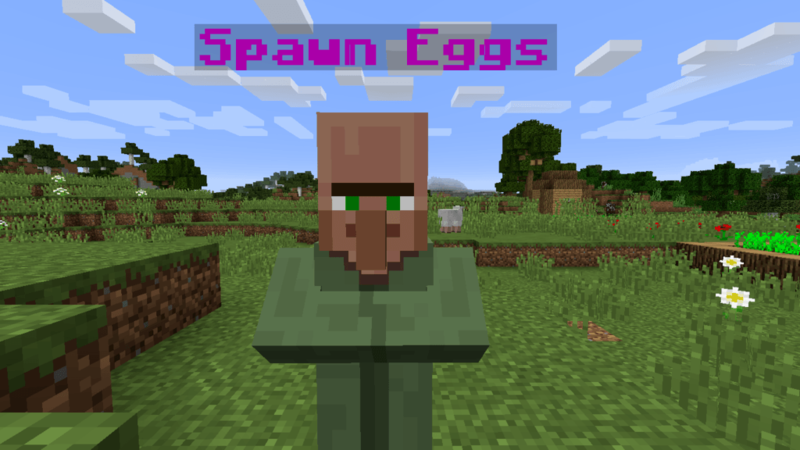 Use /tp @e[type=villager,sort=nearest,limit=1] @s while standing inside the selected trader to make it look wherever you look. Download the data pack from the link below. Launch Minecraft. 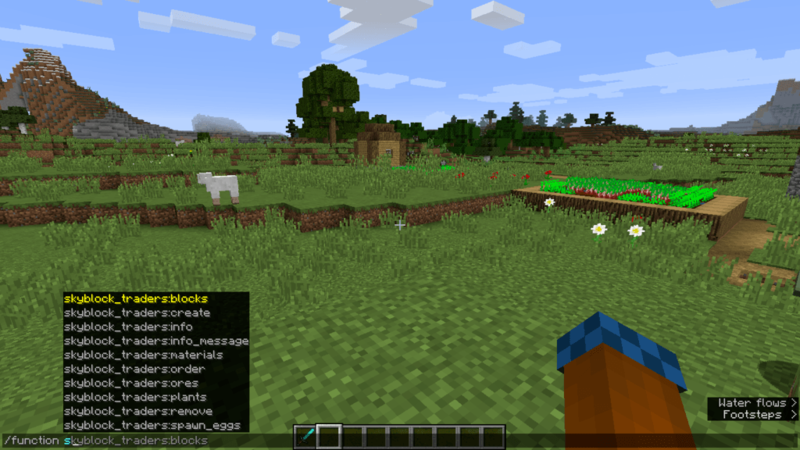 At the main menu, choose Singleplayer. Select the world you want to install this data pack, then click on Edit button at the bottom of the screen. Choose Open World Folder. A window will pop out — open datapacks folder. Now you should drop the data pack compressed file you have just downloaded into that folder. Back to the game, press Save to complete. Enter the world and enjoy it. If you didn’t get the installation message, run the command /reload. If you cannot use /reload command, you should create a new world.